Frankie Jacoby Levier, age 20, 191 Theo Street, Port Barre, LA., 70577, Maximum Speed Limits – Autos, Expired License Plate, Expired Motor Vehicle Inspection, Failure to Use Safety Belts, Possession Drug Paraphernalia, Possession w/ Intent to Distribute Schedule I CDS. Arrested by Port Barre Police Department. Jerome Allen, Jr., age 45, 1019 Phillip Street, Opelousas, LA., 70570, Disturbing the Peace, Entry or Remain / After Forbid, Bench Warrant, Bench Warrant. Arrested by Opelousas Police Department. James Olivier, age 45, 110 Harding Street, Lafayette, LA., 70529, Schedule I CDS / Possession, Schedule II CDS / Possession, Possession Drug Paraphernalia. 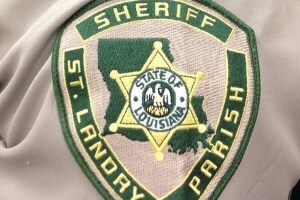 Arrested by St. Landry Parish Sheriff’s Department. Sharonda D. Chachere, age 42, 368 Pavy Road, Opelousas, LA., 70570, Simple Battery of the Infirm. Arrested by St. Landry Parish Sheriff’s Department. Brycelyn Ray Anderson, age 18, 511 S. Mallet Street, Eunice, LA., 70535, 2nd Degree Battery. Arrested by St. Landry Parish Sheriff’s Department. Tristin D. Barker, age 20, 1950 Highway 742, Opelousas, LA., 70570, Simple Battery. Arrested by St. Landry Parish Sheriff’s Department. Janella M. Valsin, age 23, 423 Gov. Mouton Street, St. Martinville, LA., 70582, Reckless Operation of a Vehicle, DWI 1st Offense, Operating Vehicle / Suspended License. Arrested by Louisiana State Police. Fredrick Jermaine Jacko, age 37, 1212 Newman Street, Opelousas, LA., 70570, Simple Burglary. Arrested by Opelousas Police Department. Donald A. Jones, Jr., age 28, 331 Walnut Street, Melville, LA., 71353, Unauthorized Entry / Inhabited Dwelling, Criminal Trespass, Flight From an Officer. Arrested by Melville Police Department.